Located at Buffalo Bill Village Resort in downtown Cody. East gate to Yellowstone National Park 52 miles away. Summer Yellowstone tours, gift shop, Activities/Ticket desk, and Seasonal outdoor heated pool nearby. 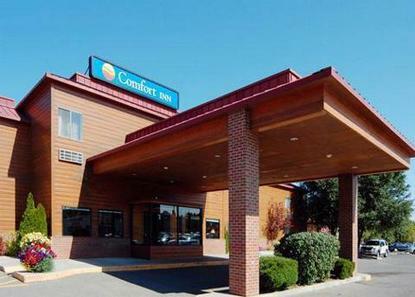 Complimentary continental breakfast offered 7am-10am, complimentary airport transportation to Cody-Yellowstone Regional Airport. QT's restaurant nearby, offering breakfast, lunch, and dinner. Room amenities include coffee maker, iron and ironing board, hair dryer, data port, color TV with cable and remote, and alarm clock radio. Banquet and meeting space available for up to 350 people. Handicap and business friendly rooms available.